Not many people consider adding tables to their homes when it comes to decoration. Tables not only can add extra place to store or display items but can also cover awkward corners. One of the options in tables is console tables with nesting tables. Console tables are considered as one of the most unique and stylish items of furniture. People often misunderstand what a console table is. They usually call any high table a console table. One of the many types of console table are console tables with nesting tables. You have probably seen a few of them when you have visited a furniture store. They are a set of three or four or five tables, which fit under each other, thus not wasting much space. In a set of such tables, every table is smaller than the proceeding one, so that they can all be stored easily. The sizes of these tables vary. The average size of the largest of the tables is approximately 20 inches. These tables are available in different shapes such as rectangular, oval, round, half moon and square. Console tables with nesting tables have a lot of advantages which can add beauty and usefulness to your home. These tables are the very best choice for saving space. 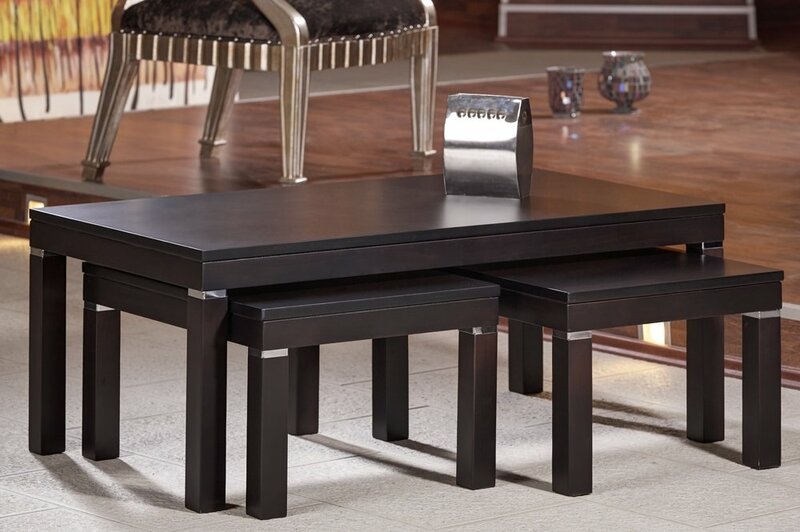 This style of table is suitable for people for a number of reasons. If you need to have extra tables for dinner, you can easily slide out console tables with nesting tables to have dinner. These tables can also be used to serve guests on different occasions. Similarly, these tables can be used for laying out board games. You can enjoy your games along with the nesting tables. One more benefit of having these tables is that they can be used to keep flower pots or indoor plants when needed and can be stacked back in their position after use. Placing these tables next to one other makes an attractive sight: you can also use these tables as decorative tables by placing them singly in any room of your home.